This customer had recently moved into their new home In Newport on Sydneys Northern Beaches. They had just purchased a new 65in Samsung TV and wanted it to be wall mounted. I used a universal heavy duty wall bracket that sits as close to the wall as possible. All cables were able to be hidden within the wall to give that clean look! The Sonos Playbar and 2 x play 1’s were connected and calibrated using the Sonos “Trueplay Tuning” software to balance the speakers for the room. Peter can install and wall mount all brands of televisions on the Northern Beaches and North Shore Sydney. Give Peter a call today on 0401202087. This customer purchased a new 55in Sony smart tv and wanted it wall mounted as they have a young child. 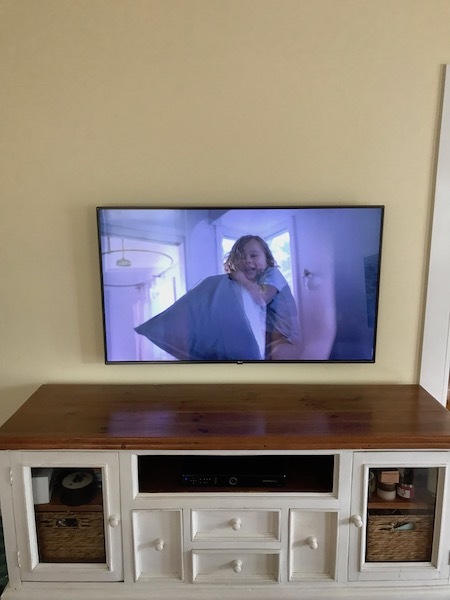 When a television is wall mounted there is no risk of a child pulling the tv onto themselves. I was able to hold the cables within the wall giving that smart clean look! If you need help choosing a new tv then give Peter a call today on 0401202087. Peter can also help you install or wall mount you new or existing tv. 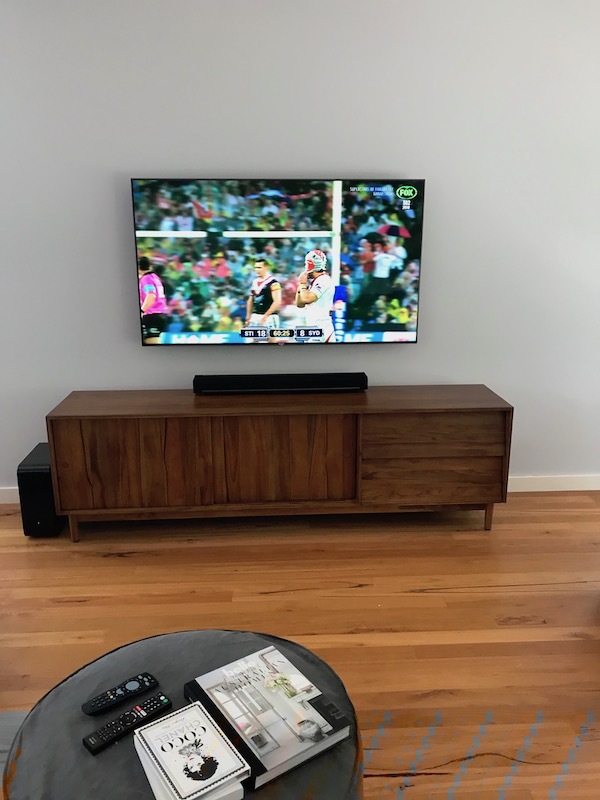 This customer who was located in Manly was replacing an older Panasonic plasma tv with a new Samsung smart tv. She wanted the tv mounted lower this time just above the cabinets that housed the Foxtel and modem. I was able to use the existing bracket which saved the customer money. Overall the customer was very happy she just now had to patch the holes from the previous brackets mounting position. Peter services the Northern Beaches and North Shore Sydney. 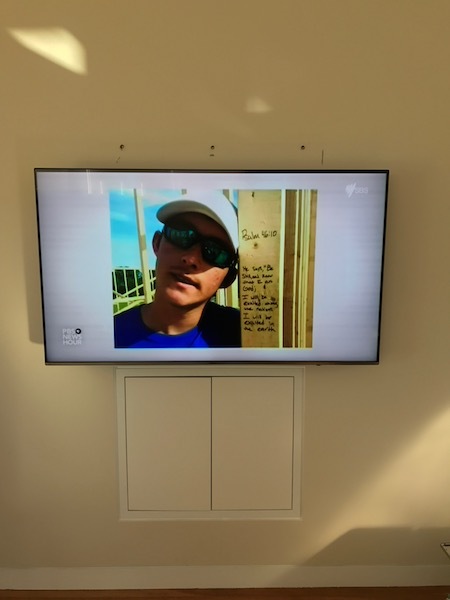 Peter can help you install or wall mount your new or existing television. 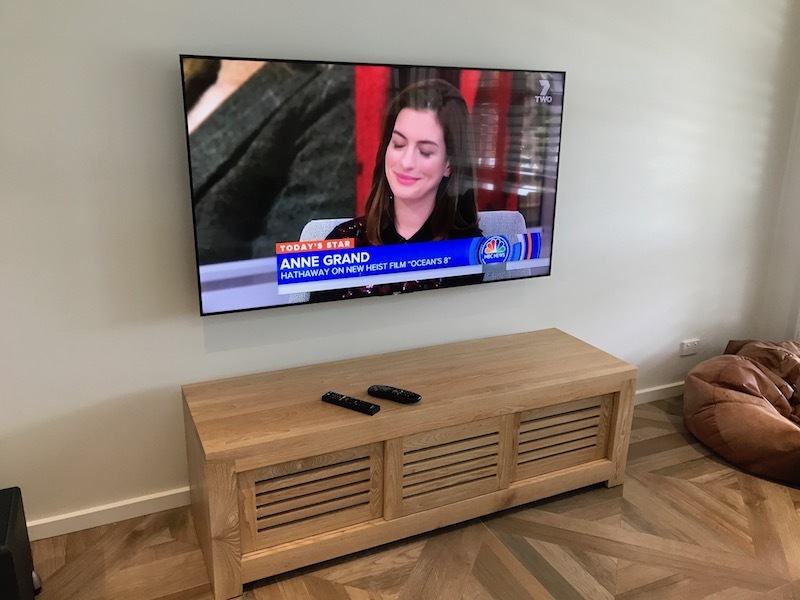 My customer purchased a new LG television and wanted the tv installed and wall mounted in their property in Palm Beach on Sydney’s Northern Beaches. The customer choose the desired height and position. Once the television was wall mounted and the cables were hidden in the wall. I connected up the Foxtel IQ2, Blu-ray player and Yamaha amplifier. 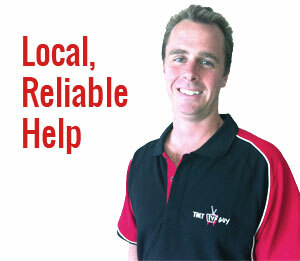 Peter can help you with your new or existing tv installation. Peter professionally wall mounts all brands of tv’s. Give Peter a call on 0401 202 087.